Collegati al sito www.farronatoborsemoto.it per conoscere in dettaglio prodotti, prezzi e contatti! Iam looking for a set of bags for my 2012 fatboy lo. I love the style of your bags. 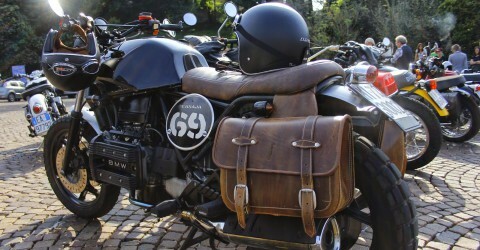 I want the bag to cover as much as the back wheel that it can. Is there anything you can offer me . thanks for contacting us. We are glad you like our bags. It is 60 liters bag, the bigger we have in our range. You also see some pictures on that page. If you wish other information please let us know.